Detailed information and reviews of Washington companies and contractors offering installation, repair and maintenance services of commercial and residential air conditioning systems, units & equipment. Post your requirements and receive no obligation price estimates and quotes. Central Air conditioning for house - I have 2000 sq feet house that I'm interested to have central air conditioning installed. Please contact me asap. 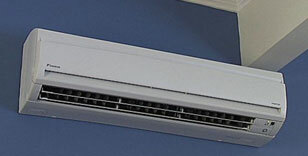 Air conditioner installation - Central air conditioner installation. Home is a one level, 1350 sq ft house with force air heat. Air conditioning repair - Repair for : Air conditioner Samsung Model#AW1091L. Preventative Maintanence - Preventative maintenence service, air-vent cleaning, air filter replacement. AC purchase and install - I would like to know about purchasing an AC unit and having it installed.